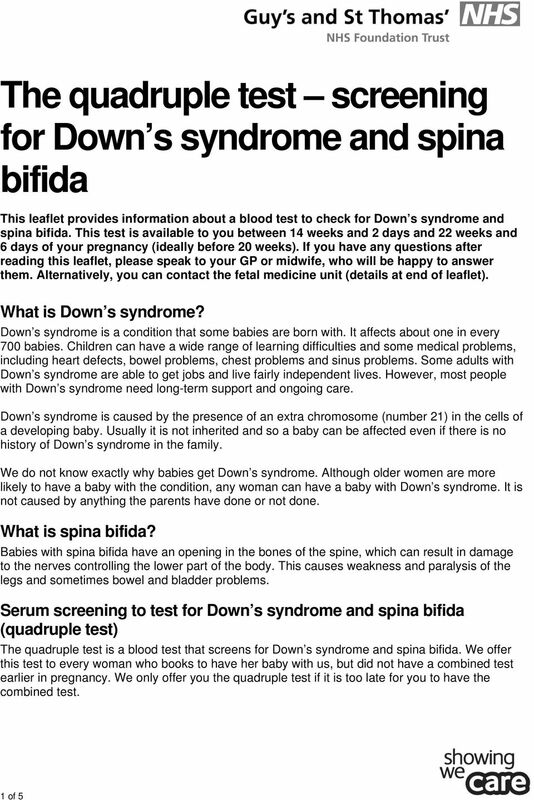 Download "The quadruple test screening for Down s syndrome and spina bifida"
Having a colonoscopy examination of your large bowel This leaflet explains more about having a colonoscopy, including the benefits, risks and any alternatives and what you can expect when you come to hospital. Surgery to remove your kidney stones a percutaneous nephrolithotomy (PCNL) This leaflet explains what you can expect if you have a procedure to remove your kidney stones called a percutaneous nephrolithotomy. 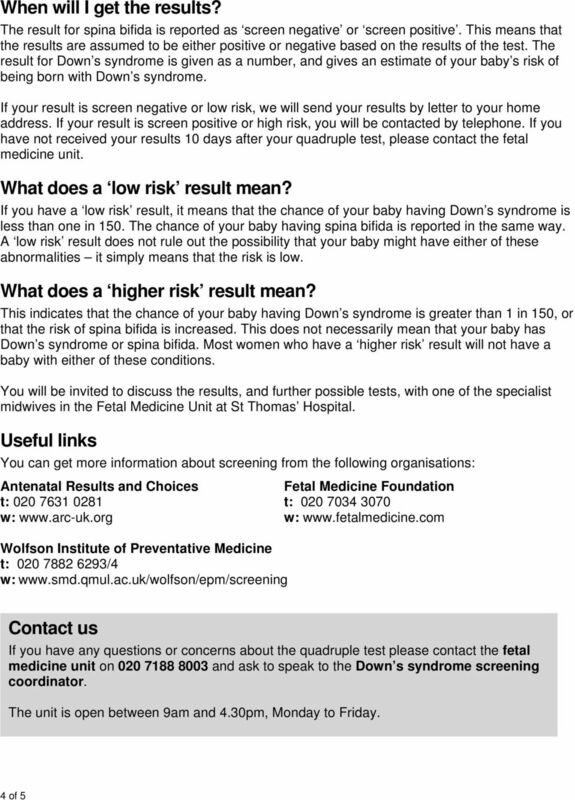 your guide to NHS abortions Information for women living in Lambeth, Southwark and Lewisham Produced July Review date March 2013. If you are struggling with eating and drinking, have lost weight, or would like to see the haematology dietician, please contact your CNS. 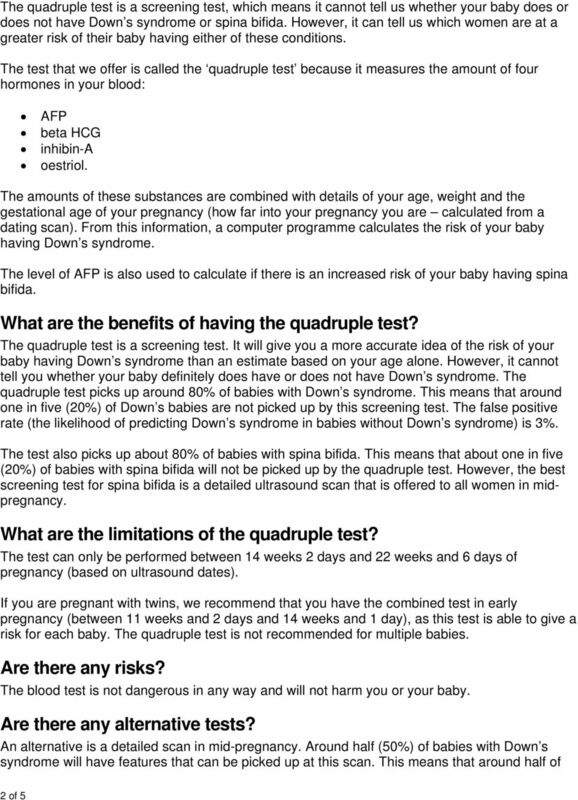 Valproate. Patient Guide. 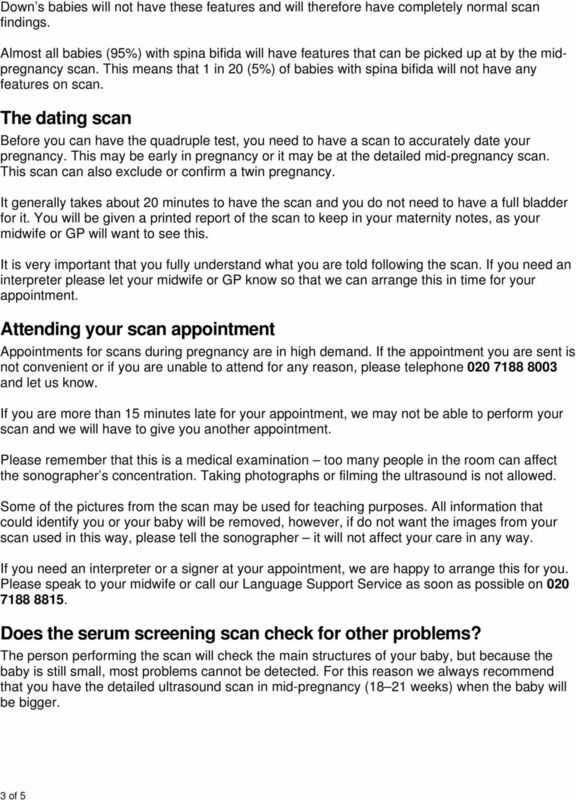 This booklet is for you if you are a girl or a woman taking any medicine containing valproate. 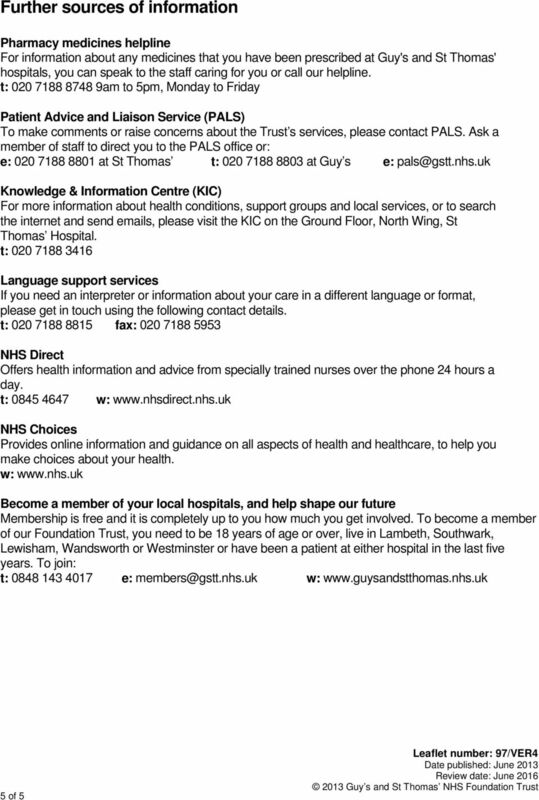 Patient Information. An important step in getting pregnant is making sure you are healthy, which you can do by making some simple lifestyle changes.